Tina Glass passed away suddenly on Thursday 4th January 2018, aged 47. Tina was born on 2nd August 1970 to parents Eric and Martha Glass (née Green) in England. She is survived by her husband Trevor, daughter Nicole, son Tristan, grandchildren Kaila and Harley, and parents Eric and Martha. She attended St Mary's School, staying on to become a respected teacher until she moved to the Tourism Department in 2011, where she worked until her untimely death. During her time at the Tourism Department Tina helped set up and run the very popular Café da Cunha, where her dishes were always enjoyed by islanders and visitors alike. She was always the life of the party in and out of the work place. When you were in her company you always knew you would have such a fantastic time. The Post Office and Tourism Centre will never be the same place without her fun and vibrant attitude. Tina adored her family and was a kind friend to all who knew her. She was a wonderful mum and wife and she always put others first. She was always smiling and looked on the bright side of life. Most people will most definitely remember Tina by her infectious laugh that would fill a room with pure joy every time she walked in. 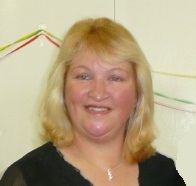 A valued member of the community, Tina will be sadly and greatly missed by all her family and friends near and far. Visitors to the website and readers of the newsletter will be aware of Tina's reports and photographs published over the years. Over a thousand of Tina's photographs appear on the website.